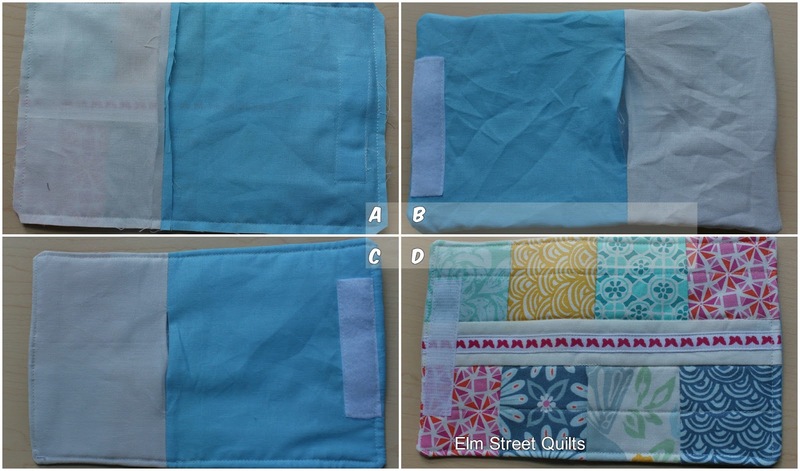 Need a quick gift for yourself or your BQF (best quilting buddy)? What about a needle case? 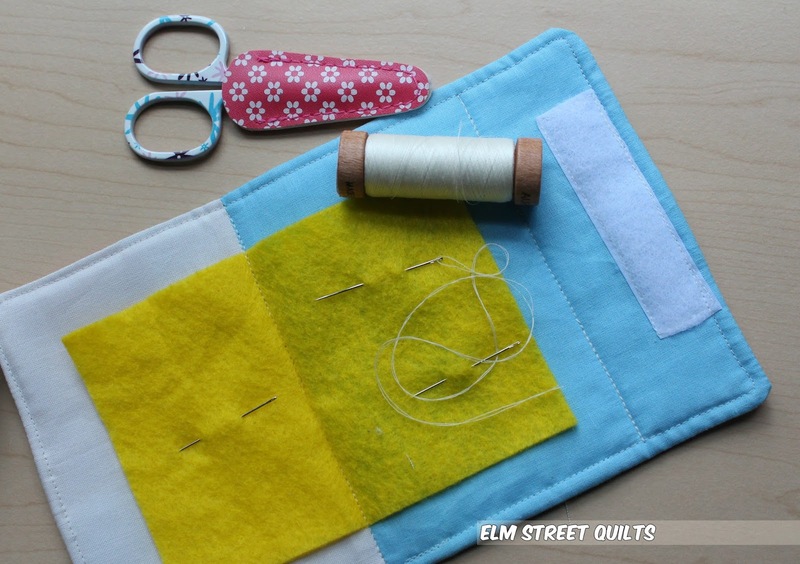 I need for a couple of these to store with my various hand stitching projects. My finished needle case is 5 x 3''. Note - a slightly wider piece of hook & loop tape will also work. 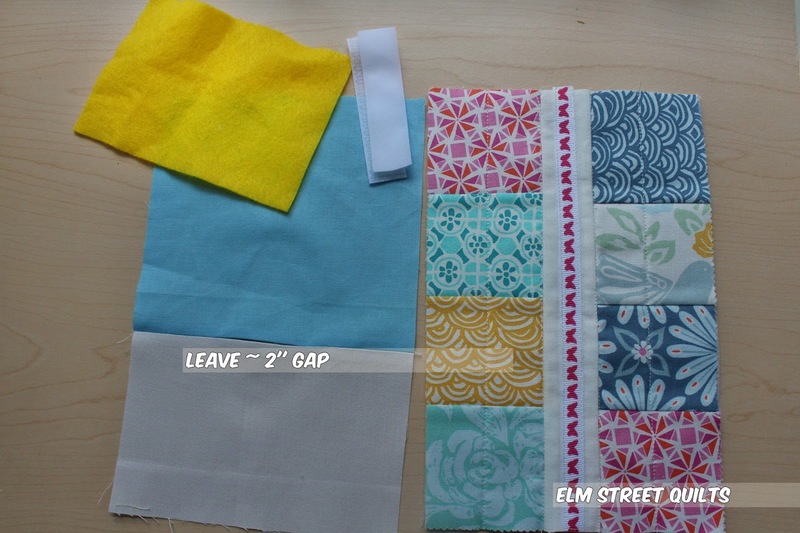 Adhere fusible fleece to wrong side of outer fabric. Quilt and embellish as desired. Right sides together, sew the two pieces of lining fabric together, leaving a gap in the seam of about 2'' for turning. Lining will now measure 5 ½ x 8 ½ ''. Press seam open. Sew one part of the hook and loop tape to the outer fabric, centering it top to bottom and lining the tape edge slightly more than 1/4'' from the outer fabric edge. Carefully turn unit right side out through gap left in lining. (See photo B.) Trim seams as needed to get crisp edge. Press. Close hole in lining by hand. Fold over needle case on the fold line the stitching created. Align a ruler and mark along case edge for second folding line. Stitch along this marked line. Enjoy your new needle case! 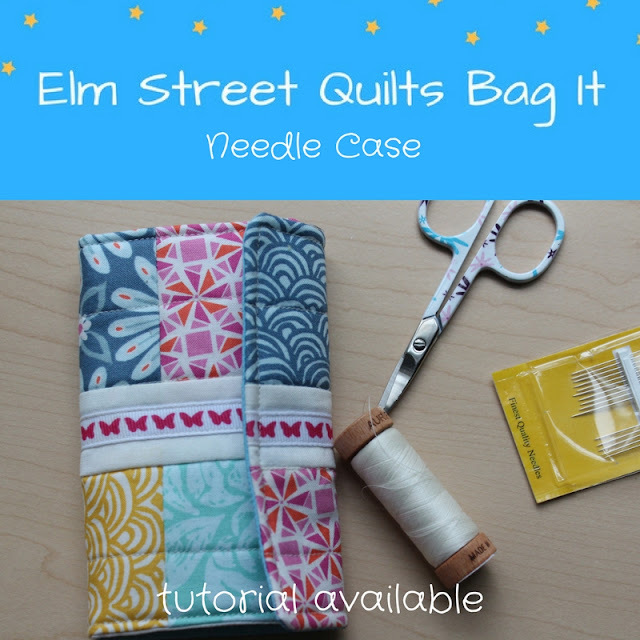 Make one for every quilter on your list! Simple and sweet! Thanks for sharing! Will make perfect little gifts for Quilty friends! What a wonderful little gift. Thanks for sharing the complete tutorial. Beautiful needle case, I love the addition of the ribbon on it. What a great tutorial; thank you for linking up! 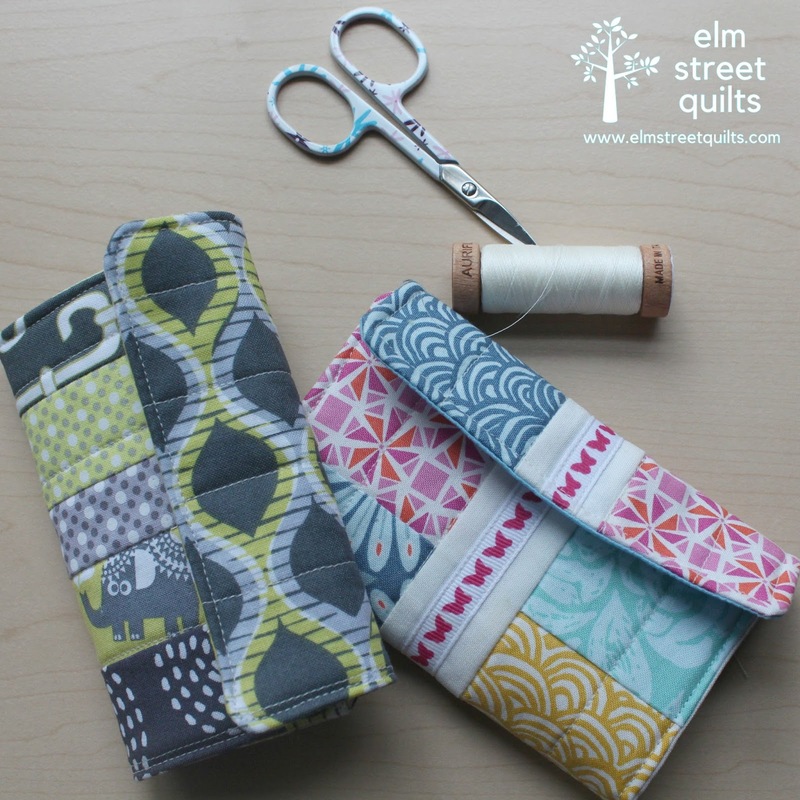 What a very pretty needle case! I love how cute and compact it is! So pretty! I like the ribbon embellishment very much. Thank you for sharing.